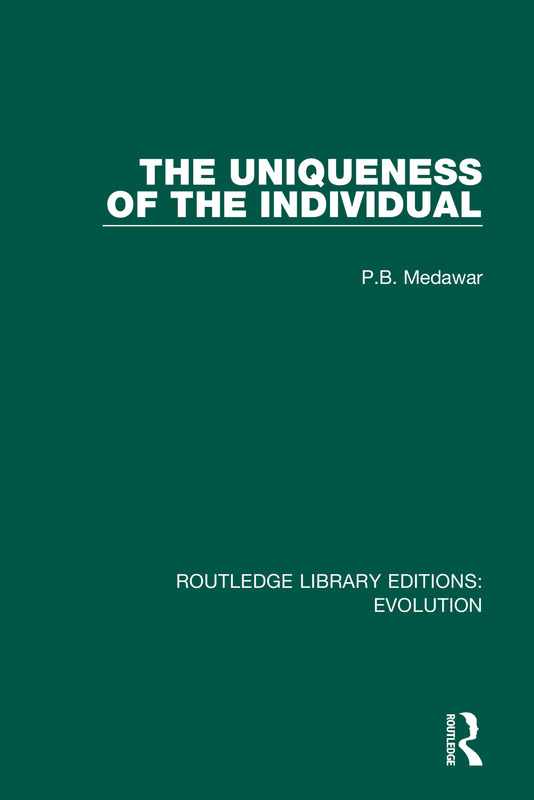 Originally published in 1957, The Uniqueness of the Individual is a collection of 9 essays published from the ten years preceding publication. The essays deal with some of the central problems of biology. These are among the questions put and answered from the standpoint of modern experimental biology. What is ageing and how is it measured? What theories have been held to account for it, and with what success? Did ageing evolve, and if so how? Is Lamarckism and adequate explanation of evolutionary process? Does evolution sometimes go wrong? Do human beings evolve in a way peculiar to themselves? Other essays touch upon the problems of scientific method and of growth and transformation. This book will be of interest to natural historians, evolutionists and anthropologists.